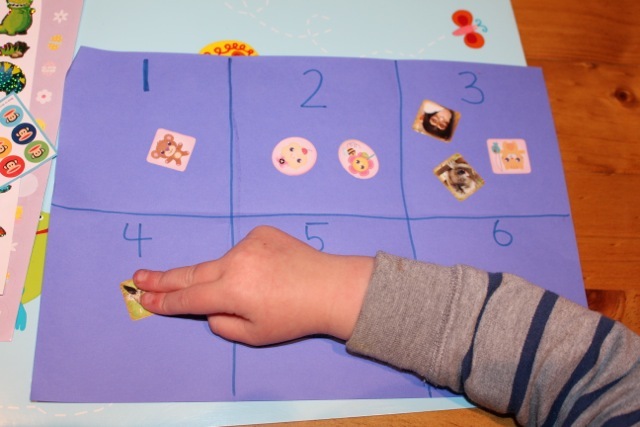 A nice simple activity for A to practice her counting involves stickers, one of her favourite things. She loves to use stickers, placing them on paper, tables, chairs, cupboards, toys, the floor and even herself. I’ve had to remove a lot of stickers from places they shouldn’t be, and it’s really hard to get the sticky residue off clothing when it goes through the wash with a sticker attached. None the less, we keep stocked up on stickers because they are fun and both L and A enjoy using them a lot. So on a sheet of paper I divided each side into six equal spaces (folded in three, then in half) and wrote the numbers 1-6 on one side, and 7-12 on the other. 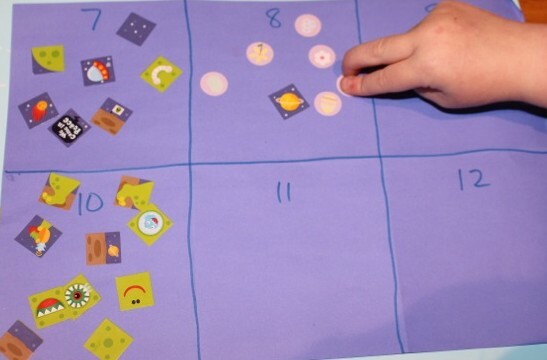 Then A placed stickers in each space corresponding to the number written there. 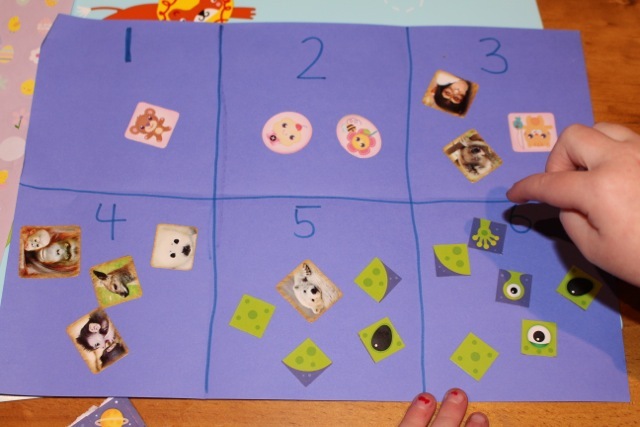 She enjoyed placing the stickers, and she carefully counted them as she put them on the paper. You may also enjoy Starry Stars and Sticker Names.